A Health Spa dating back to Roman times located on the slopes of the Monchique mountain. 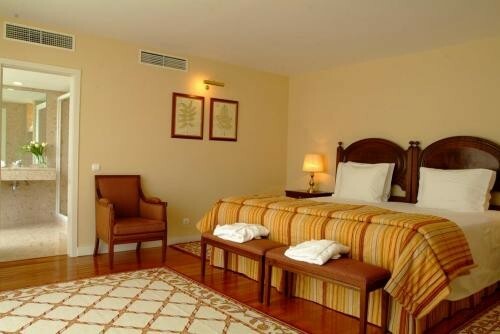 A choice of online discount accommodation in the small village of Caldas de Monchique with the guests to the Spa in mind. 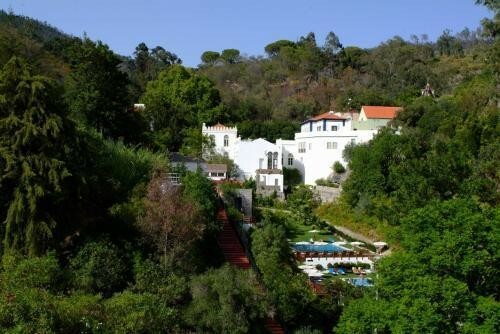 The Thermal Spa of Caldas de Monchique is located at the middle level of the Foia Mountain overlooking the coast of the Algarve. Surrounded by eucalyptus trees and small terraced farms the village provides peace and tranquillity. Some five kilometres further up the mountain is the very typical Portuguese town of Monchique which has in its narrow streets shops and small restaurants. The beaches and golf courses remain below to the south at approximately seventeen kilometres drive. The history of the location dates back to the Romans who discovered the hot spring waters to be medically beneficial for respiratory and muscular problems. It came into prominence in medieval history when Dom João II (King of Portugal), visited the location in 1495 and granted funds for the place to be developed as a Thermal Spa. Today the Spa is managed by the 'Fundação Oriente', a philanthropic Foundation which has spent considerable sums to create a modern and comfortable Health Spa where specialized health treatment can be sought along with selected stress and beauty courses. 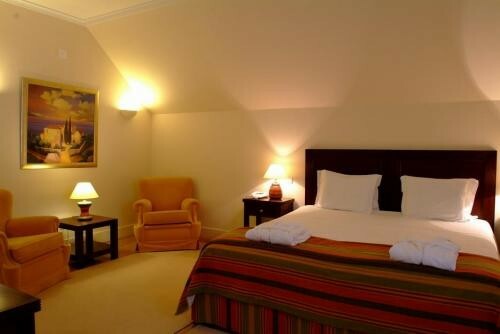 Accommodation is provided in conjunction with the Spa in the same village by four different establishments. 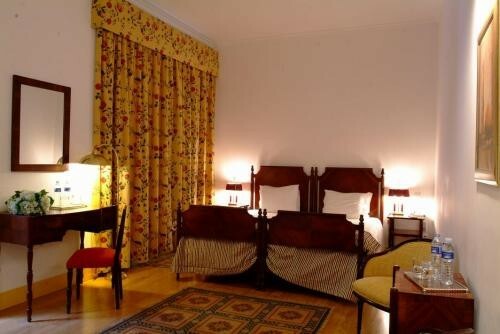 This charming room features 19th century decor, air conditioning and TV. This suite features views of the mountains, the valley, and pools. This one-bedroom apartment comes with a TV.